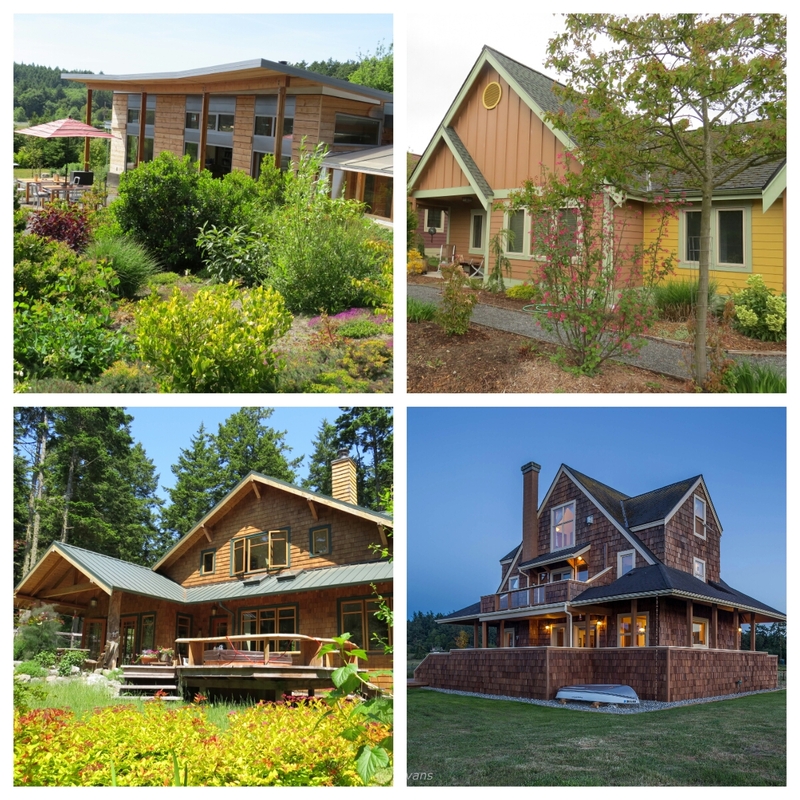 More than 100 home owners have opened their homes for the Lopez Island Home Tour since the first tour in 2004. Though every one of them does it to support the Lopez Center for Community and the Arts, each has a different story to tell about what led them to be one of the Home Tour’s destinations. Those stories are as diverse as the homes themselves. “We said yes right away,” said Beth Shirk, who, along with her partner, Anne Hietbrink, opened their beautiful, modern craftsman style home on Fisherman Bay to Home Tour visitors this year. “This is just one day of our lives [but] the most important fundraiser for the Community Center,” continued Beth, as she reflected on the Home Tour while taking a break from hosting. Beth and Anne first visited Lopez 25 years ago while living in the Bay Area. They always knew they wanted to end up on the island. They finally built this house in 2011 when they found Mike, the builder of their jewel-box home on Bayshore Road. 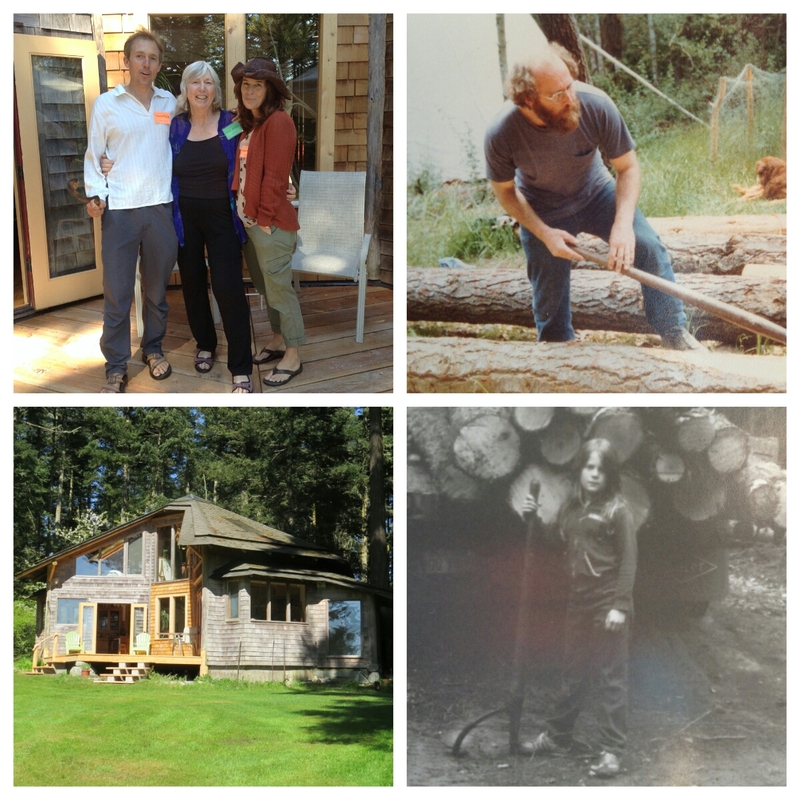 In addition to the 10,000-gallon water catchment system and multiple viewpoints throughout the house, a critical feature of the home is the shop where Beth constructs cedar canoes and kayaks. The other is the room above that shop where she takes her naps. One thing all of the homes on this year’s Home Tour have in common is their respect for and use of their surrounding environment. Beth’s and Anne’s place was built without removing a single tree on the lot. The multiple buildings on the Ryan property are built from reclaimed lumber, including wood from the old barn that fell down a few years ago. Asha Lela’s house on Shark Reef Road was built entirely from timbers felled on her 5-acres of land. The Lela house, built with the help of friends and family in the early 80s, is a great example of the diversity of this year’s Home Tour, not to mention the spirit of community on Lopez. Asha moved to the island in the late 70s and soon decided to build her own house. “I knew nothing about carpentry, [and] I was afraid I’d end up living in a tar paper shack.” Thanks to neighbor Joe Niedermann and dozens of others from the community, the result was quite the opposite. “Everybody should experience building a home,” said Joe, who was onsite at Asha’s place during the tour. It seems that, in the early 80s, almost everybody on Lopez took part in the experience of building the Lela house. After work, OPALCO employees brought over their trucks and pile drivers to help erect the poles – cut from her land – that hold up the octagonal-shaped structure. Asha’s children, Abigail and Chris, have fond (and perhaps a few not-so-fond) memories of helping build the house into which their family moved on Thanksgiving Day, 1984. The Lela house was certainly not the oldest house on the 2015 Home Tour. Making its second appearance on the tour was the historic Cousins farm, built in the 1880s and owned by Kip Robinson Greenthal and her husband, Stanley. Kip’s parents bought the farm in 1960 from Pierre Franklin, who had purchased the farm from the Cousins family, one of the early homesteading families on Lopez. Willie Cousins gained local notoriety for having hidden hundreds of jars with letters to the future all around the 160-acre farm. Some of those jars have yet to be found. “My parents were early conservationists,” Kip mused, as she considered the important role the preserved farmhouse and its surrounding land play in the Lopez community. Nobody permanently lives in the house, but it’s perfectly livable. It’s regularly used for writers retreats or auctioned off for weekends for various organizations in the region, including Seattle’s Hugo House and the Lopez Island Family Resource Center. The extended Robinson family still uses it for reunions and holiday gatherings. The land is used by local farmers, including neighbors, Steven Wrubleski and Summer Moon; and Jones Family Farms. After visiting the owners, visitors and organizers on the Home Tour, I’m left wondering if the “Home Tour” moniker does this event justice. One home owner from a previous year said, “This is a community building experience.” During our first conversation, Home Tour Co-Chair, Mac Langford, told me, “This is not a real estate program.” Far from it. The Home Tour is a unique event that gives people a glimpse into what it’s like to be a part of the Lopez Island community – a place where people with a wide range of socioeconomic backgrounds come together to help each other out and preserve one of the world’s most beautiful places to live. It’s fitting, then, that the purpose of the Home Tour is to raise money (more than $20,000 annually) to keep its Community Center running. Long-time Home Tour organizer, Jim Smith, was kind enough to share with me the post-tour owner surveys from recent years. A common feedback theme is that owners are pleasantly surprised by how much they personally get out of the tour. Many of them end up becoming volunteers in subsequent years. None of them are disappointed by participating. “This program has started to sell itself,” Jim explained, while reflecting on how far the Home Tour has come. My only disappointment was that, by riding my bike from home to home, I ran out of time and couldn’t make it to every place on the tour. This was not the Tour de Lopez! 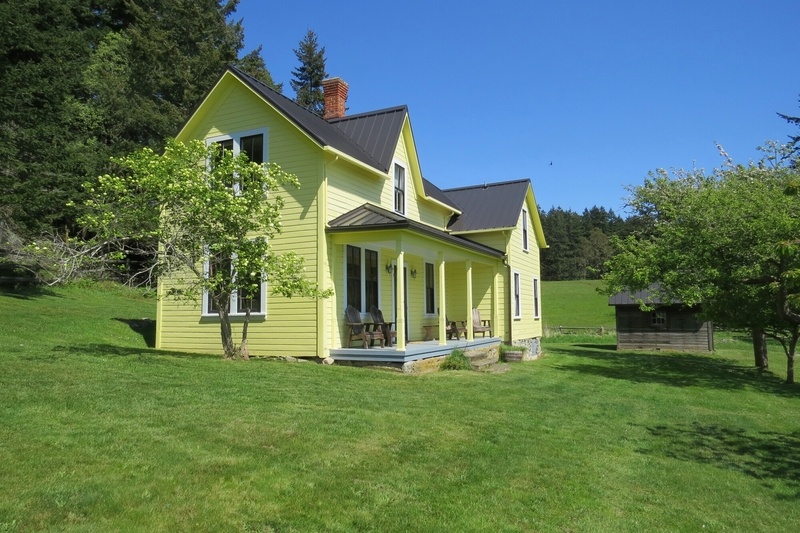 Whether a long-time Lopezian or somebody curious about this little island’s way of life, I strongly recommend checking out the Lopez Island Home Tour next year. The $30 price is a bargain when you consider the cause this supports (you’d pay 2-3 times that amount for other home tours). If you’re looking for a way to contribute to this unique community, you’ll have a lot of fun doing it. And, if your home would help tell the Lopez story, consider volunteering it for the Home Tour. We certainly will want to see the tour next year. Thanks, Tim for this article. The Lopez Home Tour really is a powerful way to celebrate the creativity, beauty and pioneering spirit that makes this island unique. A feel good perspective on our Home Tour. Good to see it through your experience. Nice job.